Vinopanion | Blog | Ward – drXeNo @ ZAP Live! 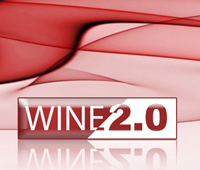 WineLog » Blogs » Vinopanion » Ward – drXeNo @ ZAP Live! Another year means another crazy adventure in the world of California’s “home” grape! 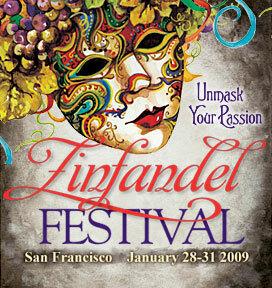 The Zinfandel Advocates and Producers (ZAP) are having their annual ZAP Festival at Fort Mason on the San Francisco waterfront this weekend. 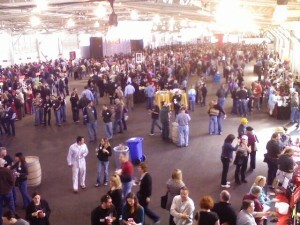 Many events have already occurred in leading up to today’s press and consumer grand tasting. Over 275 wineries, 400 wines, countless other food and wine specialists and 10,000 attendees will participate with food and Zinfandel wines, again making this the largest single varietal wine festival in the entire world! 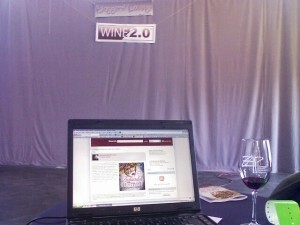 I will be posting in real-time throughout the event today until about 5pm from the Wine 2.0 Bloggers Lounge (Thanks so much to Cornelius and Abdi from Wine 2.0 (Twitter) and Lisa (Twitter) from Hahn Estates for coordination!). 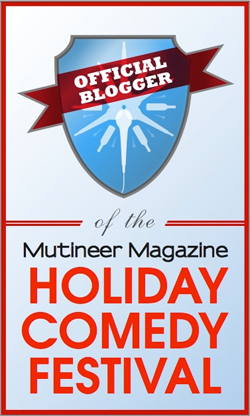 The post will be on the fly and mildly edited for content (especially later ;-), similar to the now famous, Live (Speed) Wine Blogging event at last year’s 1st Wine Bloggers Conference. I’ve already run into The Beer Wench (Twitter), Caveman Wines (Twitter), Vineyard Adventures (Twitter), the Corkeeper founders (more on that later), Sharayray (Twitter) and many more. Woohoo, this is going to be good! And now….the wines! This was in a shiner, obviously just bottled from the barrel. Palate: Also good, with a red fruit medley of raspberry and rhubarb, good balance with bigger tannins but not overly hot. Good. Palate: Wow, tons of cherry here, with more of an oak presence, but not overwhelming. A very big wine with a strong grip, fnishing with more of a blueberry finish and good acidity. Good! Palate: Lighter bodied and verrry different from the more current ‘06. Good elegance to this wine and I really like it better than the buiser above, but their both good and just very different styles. Red red fruit here on the palate, cherry is in the fore with more of a raspberry finish and good acid. Just had a great convo with Susan from Icon Estates who own this brand. 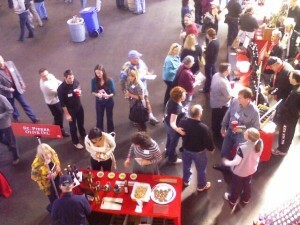 More good chat about social media and how wine can penetrate that space to better reach their fans. This is the perfect spot for that, for sure! Palate: Good red fruit with a fair amount of oak surrounding it, blueberry comes in on the mid and finishes with good food acid in this lighter-bodied wine. Would love to decant first! Next stop, Truett-Hurst with Phil Hurst and GM Jim Morris in attendance. 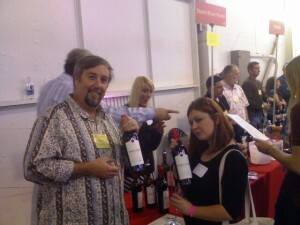 I had a great time chatting with Jim at the WBC Dry Creek Valley tasting and I was happy to run into him again here. As usual, another great convo ensued with some special secret wines that were sequestered underneath the table to those that follow Jim on their Twitter. Palate: Another good and well-balanced effort from TH, this has more of that black fruit from the nose and good spicy herbs and white and black pepper. Very good. Nose: More of a brambly red fruit Zin here, with a bit more oak, but still mellow. Palate: Good raspberry with a bit of blueberry in the finish, still good round but strong grip for this varietal and a bit more bramble and oak than the Red Rooster. Also quite good. Palate: Well-balanced, with some lighter florals, raspberry and cola from the nose and a nice minerally finish with good acidity. This is a first time wine for TH. Nose: Great depths of fruit here, wow. Outstanding black and blue fruit with a touch of 5 spice and some great chalkiness to the nose. Palate: Also phenomenal, huge, but still balanced with tannin and acid to make this great but not overwhelming for the palate. Chalky big mouth with a round and strong grip, followed by more of a blackberry in the finish that goes forever, ending in black cherry. Outstanding. Whew, what a fantastic event! I have to say, as a tentative Zin supporter in the past (I have had trouble finding Zins that fit my palate), I came away very impressed with the majority of the wine that I tasted that day. Please watch this space as I continue to digest all of the fun and information that was had that day and I get the chance to add more info, reviews, photos and fun to this post! Nose: Good dustiness to the fruit here, with some deeper red fruit that is still nicely balanced by some dried garden herbs and slight bramble. Palate: Quite good with that same dusty red fruit from the nose, mainly cherry, but with some darker fruit underneath and integrated oak adding some complexity. Very smooth. 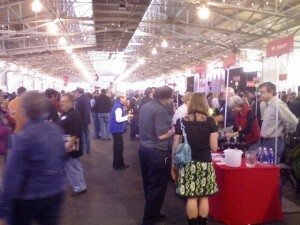 We then headed over to the craziness that was the R&B Cellars table. Wigs, ladies, men and magnets, everything was nuts over there! Palate: Great QPR here as this retails at $11. Huge cherry, but not enough to overwhelm some underlying oak, good tannin structure from the 13% Pet and good food acidity. Quiet a steal! At this point, we headed over to the other building that housed roughly the other 1/3 of the wineries that were not already contained in the eastern and larger Pavilion building. These were roughly A-H wineries, in alphabetical order. Luscious Lush, Thea (Twitter) was manning the door and many other activities, volunteering for the day. Palate: This was from a shiner pulled from the barrel. This was too sweet for my taste with the residual sugar, but good blue fruit here which was nice and some of that cracked pepper in the finish. Nose: Definitely some sweet tobacco here, they aren’t kidding. Blue fruit with some toasty oak. Palate: Not my style of Zin at all, but lots of blue fruit, that sweet tobacco and just sweet fruit in general, finishing quite oaky. Around this time I saw the webmaster for ZAP, Jared Krupnick. We had already exchanged cards and pleasantries earlier in the day, and he had mentioned that he’d like to demo a new part of the ZAP website for me, a portion called ZinWorld. This turned out to be very interesting and promising, a great intermeshing of social media and the true physical world. 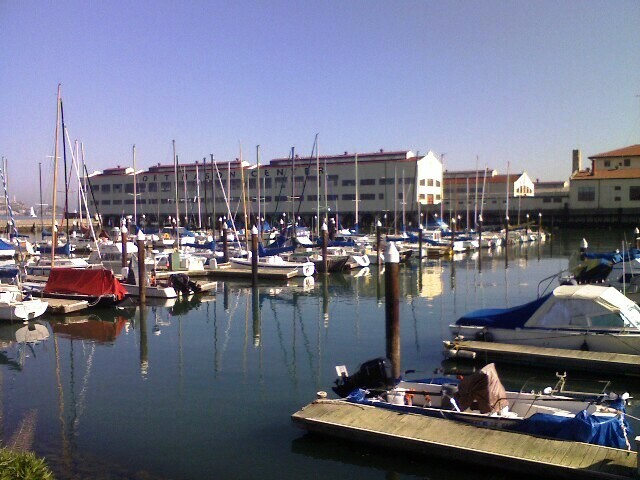 ZinWorld takes all of the members of ZAP, as well as any other people and establishments that have a connection to Zinfandel and overlays their rough physical location (their City, if a consumer member), or exact business location onto GoogleMaps. Once you click on any of the bubbles representing such members, you get a simple profile that details the member and their association with Zinfandel. Very cool. Members are encouraged to fill out their profiles and interact with other members through the site and in the outside world (anyone for a ZinUp? We can meet at one of the restaurants or wine bars featured on the Map!). I’ve already created my free ZinWorld profile, check it out and add your own! Palate: As good as the nose, that cherry is here as well, with rich depths that turn black underneath. More tar here that surrounds the dusty raspberry towards the back palate and finishing with some earthiness. Very good! Palate: Also sweet and too unctuous for my palate. Has that same red fruit of cherry and raspberry from the nose. Eh. Palate: Also more of a claret style and good, with that same red fruit from the nose, but accompanied by some tarter blueberry here. The herbs and some earthiness are also present, finishing with very good acidity. Nose: More of a richer fruity style here, with red, black and blue aromas all represented. Some slight toast here, as well. Palate: Bigger than the ‘05 and more fruit forward, but still with that nice acidity and also some good tannin structure to back it all up. Again in that claret style and good. Back to the original building where we started and I headed over to one of the first through the door, Spelletich Cellars, from Napa. Barbara Spelletich, herself, was pouring these wines and I stayed for a very invigorating conversation as I tasted my way through all three of the wines that she had available that day. She is a very experimental and fearless winemaker, who is not adverse to going very against the establishment in California wines. She has a long history in the wine industry, across many different positions, so her knowledge of where changes can be made in the vinting process and where they can’t (or shouldn’t!) is quite thorough. As I tasted her wines, I noticed just how much acidity was present and yet it didn’t detract from the balance of the wine. It reminded me of some of the high acid, balanced wines that I tasted when from Kaz, when we visited with my father last Summer. Barb explained to me that she did not use any malolactic fermentation on these red wines and that was where the acidity comes from (or, rather, stays, since she’s not breaking that acid into the softer lactic acid like virtually all other CA red winemakers). That was fascinating, but not even the most astonishing as she proceeded to ask me what I thought the alcohol levels might be on these wines. I thought they were on the lower end for CA wines, say 14-14.5%. Wrong! I was flabbergasted to find out that these were between 16.5-17.1% alcohol, unbelievable! I couldn’t even detect their heat on the nose they were so balanced. Very interesting, indeed! I also ran into a high school classmate while chatting up Barb, Harry Higgins. It’s always fun to run into people fromseemingly long ago at these events! Palate: Also quite bright and almost racy like a vibrant Pinot, this has all of the fruit from the nose and more structure than you can shake a stick at. Very tasty, and finishes with some slight char. Nose: A little more plush than the ‘04, but still similar with that medley of different fruits and big brightness. Palate: Another well-constructed wine, with great balance that features the food-necessary acidity, but also has enough fruit and tannins to back it all up into more of a classic Bordeaux style. Other components intermingle here, such as a full mouth that isn’t flabby and some cedar and pepper spice. Nose: Big marzipan here, with blueberry towards the center of the glass and more of a sweet cherry vanilla cola towards the rim. Palate: Full and sweet, but again, with enough acid to make stand alone and not need some dessert to accompany the glass. Creme brulée and blueberry cobbler are present more here with a hint of cedar to round things out. Quite good and made in th tawny port method, in honor of the wines that Barb imported from Portugal, earlier in her career. 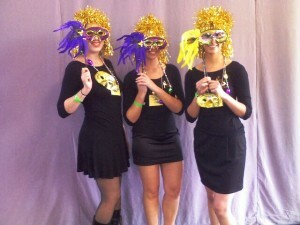 The event was winding down as were myself and the Zin posse. 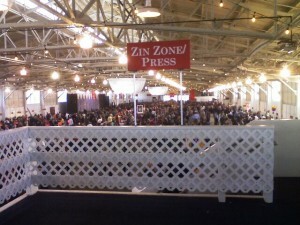 We headed up to the Zin Zone press area for some last nibbles and wine, as the press area contained almost all of the wines that were being poured that day and available as a self-pour station, without the frenetic (but more fun) craziness below. 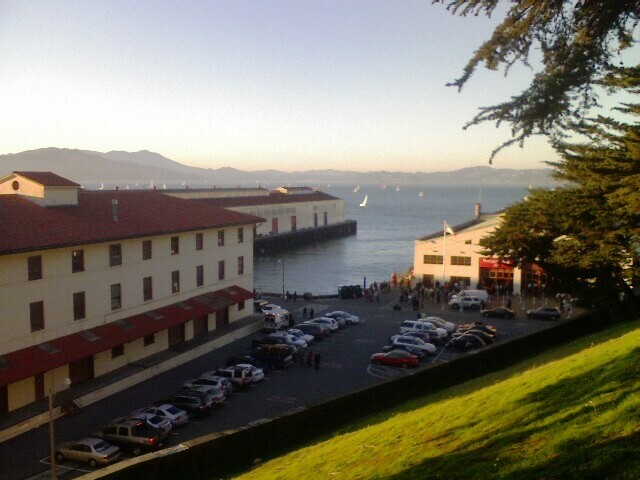 I had one last wine, picked at random from the tables and then I called it a day and headed out, walking back to BART. Palate: Also good and very balanced. Full, with good acid and a strong, round grip, this has the fruit from the nose, pepper, spice and some cedar in the long finish that ends with a bit of a chalky mouthfeel. Nice!